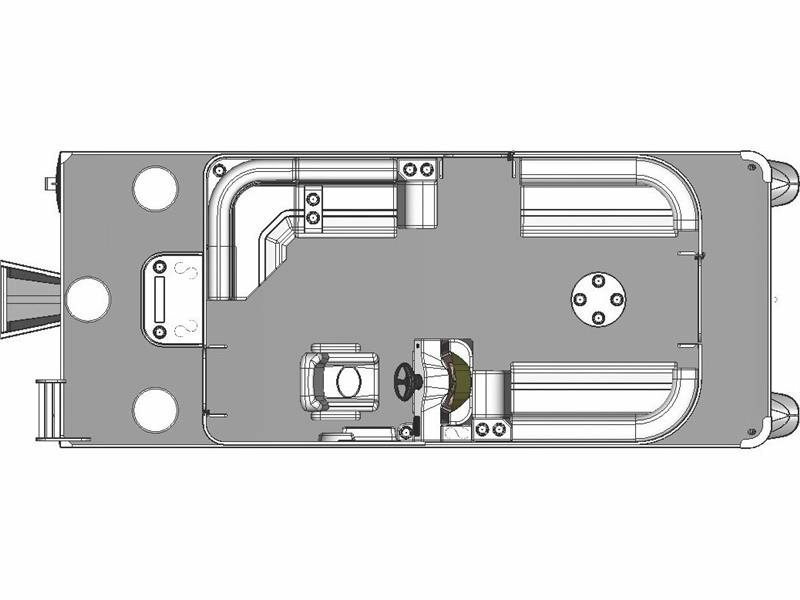 2013 APEX MARINE 820 LS Splash Pad A truly remarkable pontoon is one that answers your needs and knows your desires. The Qwest LS is the world's most luxurious compact pontoon boat - plush, dynamic, innovative. 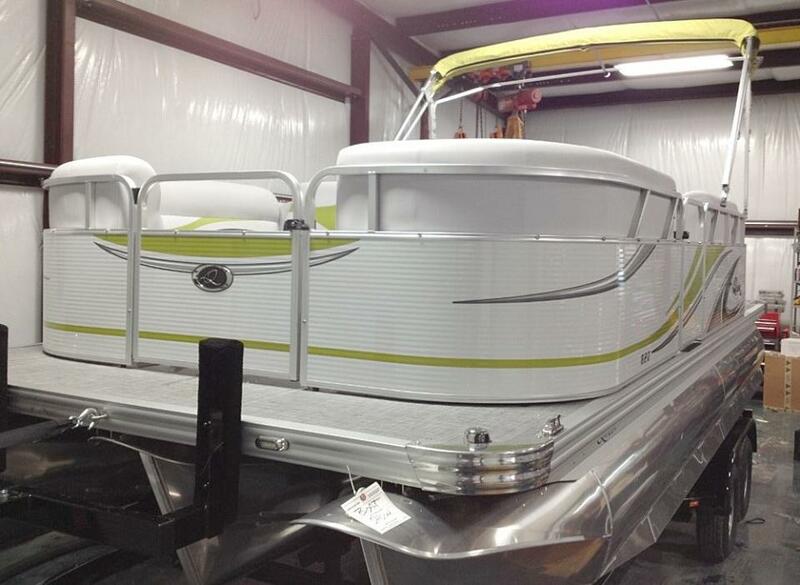 When you're looking for the ultimate in comfort, amenities and easy handling, this pontoon is the answer. - GREAT BAR BOAT! 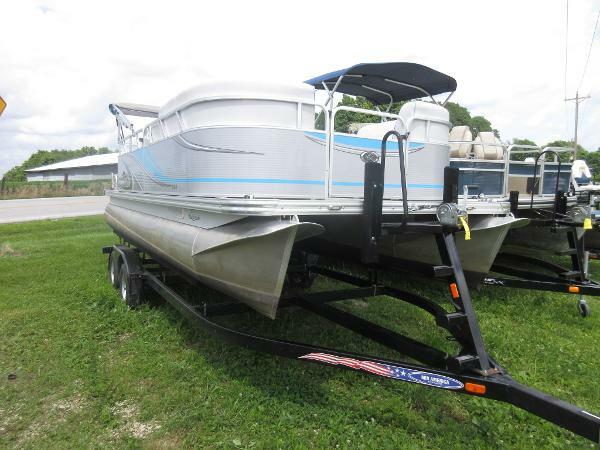 - ADDITIONAL BAR SEAT IN REAR (4 VS 3), APEX CUSTOM SKI TOW BAR, AQUA TRACK STERN FLOORING, BIMINI TOP, BIMINI TOP DOUBLE REAR EXTENSION, BUILT IN 18 GALLON FUEL TANK W/GAUGE, FIRE EXTINGUISHER, HUMMINBIRD 386I GPS/SONAR, INFINITY 6 SPEAKER STEREO SYSTEM, LED DOCK & COURTESY LIGHTS, TILT STEERING, Y.E.S. EXTENDED WARRANTY TRANSFER, YAMAHA TRIM GAUGE. 2017 APEX MARINE 820 Splash Pad A high end luxury pontoon boat, the Qwest LS offers elegant styling and fine detailing with exclusive amenities and promises to be the ultimate in comfort to make every hour an exceptional happy hour. - full diamond seagrass,washdown system,ski tow,blue ice light pkg,LED dock lights,lillipad diving board,cover,90hp Yamaha motor.